Brian has owned and operated Georgio’s Pizzeria and Pub in Crystal Lake since 2002. He grew up in Crystal Lake graduating from Crystal Lake South High School in 1998. He went on to higher education gaining his undergraduate degree in finance from the University of Iowa. Brian’s community commitment is evident in is extensive volunteer work serving in Crystal Lake and McHenry County. Current involvement; Board of Trustee for LGMC, Ambassador and Board of Directors, Crystal Lake Chamber of Commerce, Crystal Lake Chamber of Commerce, Downtown Crystal Lake Board of Directors, . Also past volunteer experience includes Chairman of CL Chamber of Commerce Board of Directors, Downtown Crystal Lake Association President, Downtown CL Promotions Committee Chair, Vice Chair of Crystal Lake Chamber of Commerce, Treasurer for Crystal Lake Chamber of Commerce, Crystal Lake Chamber Finance Committee. 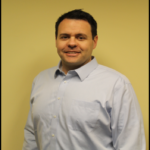 Brian was a recipient of McHenry County Business Journal 10 under 40 in 2007. He lives in Crystal Lake with his lovely wife Denise and two handsome sons Cameron and Brandon.